Foot and Mouth Disease (FMD) is infectious disease in domestic animals caused due to viral strain Aphtovirus of the family picornaviridae. It majorly affects cloven hooved livestock such as cattle, goat, sheep, swine, and other animals. 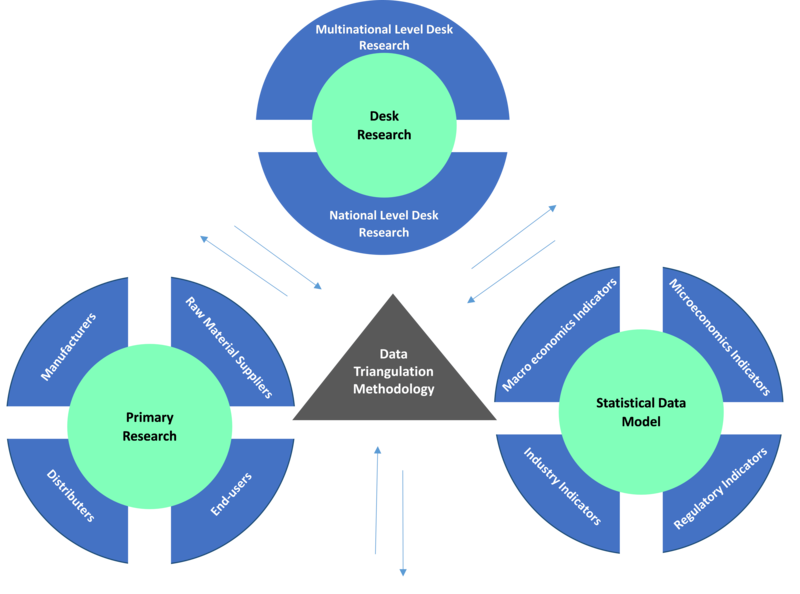 It can spread through both direct and indirect modes. Foot and mouth disease causes high morbidity in animals and results into significant economic loss due to decreased milk productions, permanent hoof damage, and chronic mastitis. The global foot and mouth disease market size was valued at US$ 1,567 million in 2017, and is expected to witness a CAGR of 9.4% over the forecast period (2018 – 2026). Foot and Mouth Disease (FMD) causes repetitive outbreak around world thereby causing economic and social damage. 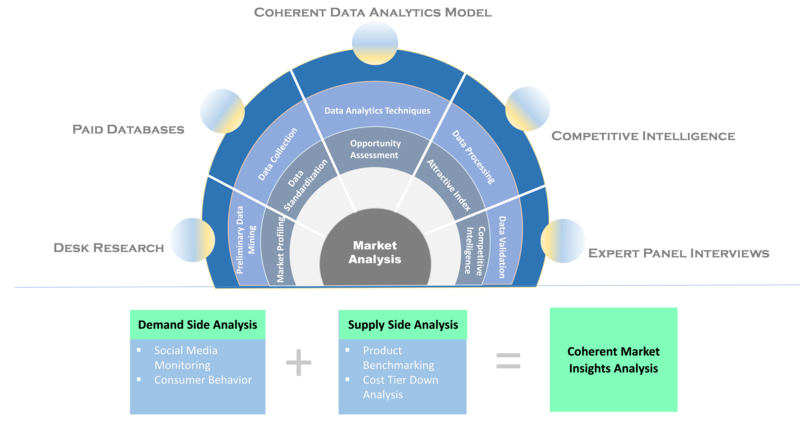 Preventing foot and mouth disease is the only sustainable and viable options, which can be done only though the vaccination for FMD, which is expected to drive growth of the foot and mouth disease vaccine market. According to paper published by the Food and Agricultural Organization (FAO) and World Organization for Animal Health (OIE), in 2012, foot and mouth disease accounted for annual loss of US$ 5 billion worldwide. FMB outbreaks affects food industry as it negatively impacts the export of milk, meat, and other animal products due to viral infection. 23 countries from Africa, Asia Pacific, Europe and Middle East reported outbreak of the FMD to the World Organization for Animal Health (OIE) in 2015 - 16. In India, annual loss of more than US$ 85 billion is reported each year due to FMD outbreak, which is negatively affecting dairy sector GDP of India. Although foot and mouth disease is eradicated from North America and Western Europe, various economies of Asia Pacific, Africa and Latin America witnessed high incidences of epidemic in recent past, which is propelling demand for vaccines against foot and mouth disease in these regions. Various economies such as China, India, Brazil, Thailand etc. are at high risk of FMD outbreak, according to Monthly Report- Foot and Mouth Disease Situation by Food and Agricultural Organization published in February 2018. However, vaccination against FMD may not prove to be effective by the antigenic diversity of the virus, the short-lived nature of protective immunity developed after vaccination and the temperature sensitivity that alters stability of FMD vaccines, which may restrain growth of the FMD vaccine market. 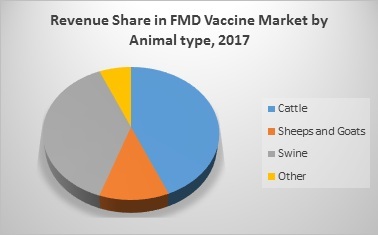 High animal density and increasing population of livestock animal is expected to be major impetus for the growth of FMD vaccine market. According to U.S. Department of Agriculture data in 2017, India has cattle in number around 300 million, followed by Brazil and China. According to the factsheet by United Nations Food and Agriculture Organization (UN-FAO), worldwide there is close to one billion headcount of swine. China has highest number of swine headcount numbering 455 million. Infected animals can transmit infection to other animals if their movement is not restricted. Vaccination of animals for FMD prevents future risks and creates sustainable growth for animal population worldwide especially in a region, which are prone to FMD outbreak. 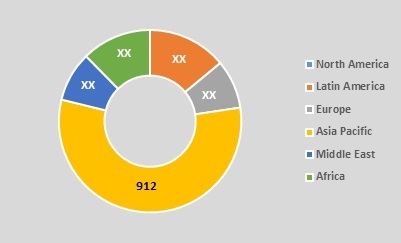 Key players operating foot and mouth disease vaccine market include Indian Immunologicals Ltd., Agrovet, MSD Animal Health, Vallee SA, Bayer HealthCare, Brilliant Bio Pharma Ltd., Intervet, Biovet, Merial, China Animal Husbandry Co., Ltd., Biogénesis-Bagó S.A, Vetal Animal Health Products S.A.VETAL Animal Health Products, and Vecol S.A.
Key companies covered as a part of this study include Indian Immunologicals Ltd., Agrovet, MSD Animal Health, Vallee SA, Bayer HealthCare, Brilliant Bio Pharma Ltd., Intervet, Biovet, Merial, China Animal Husbandry Co., Ltd., Biogénesis-Bagó S.A, Vetal Animal Health Products, S.A.VETAL Animal Health Products, and Vecol S.
Shanghai Hile Bio-Pharmaceutical Co., Ltd.
China Animal Husbandry Co., Ltd.
Vetal Animal Health Products S.A.
*Browse 35 market data tables and 30 figures on "Foot and Mouth Disease Vaccine Market” - Global forecast to 2026”.